Another week has passed, which means another great few days of hearing new music. 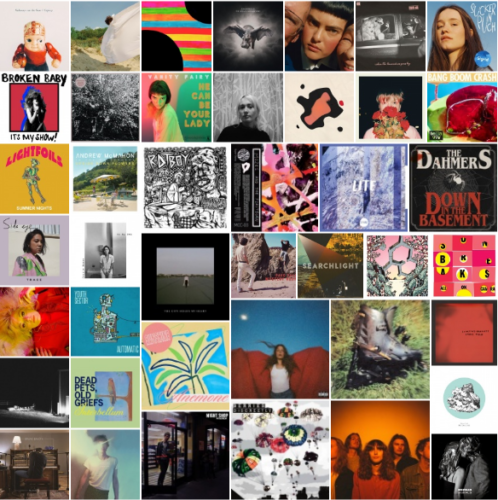 The Weekend Showcase 4.40 edition has 47 of the best songs from the past week or so. As usual, we scour the globe in search of new music, and this week’s mega-playlist contains tracks from 15 countries. They include: Australia, Canada, Denmark, England, France, Germany, Japan, Italy, Lebanon, Netherlands, Norway, Russia, Sweden, the United States, and Wales. The playlist and tracklisting, as usual, follows the list of articles from the past week. The SoundCloud version has all the songs, although some may require a GO account, while the Spotify playlist has 46 songs. Supporting labels: Bella Union, Bolero Recordings, Burger Records, Capitol Records, Captured Tracks, Carpark Records, Cleopatra Records, Dead Oceans, Fantasy Records, Father/Daughter Records, felte, Hellcat Records, Howlin Banana Records, Inertia Music, Interscope Records, Island Records UK, Lövely Records, Luminelle Recordings, Milk! Records, Mom + Pop Music, Park The Van Records, Parlophone, PNKSLM Recordings, RCA Records, Slumberland Records, Spartan Records, Suicide Squeeze Records, Temporary Residence Ltd., Topshelf Records, Trouble In Mind Records, Ultra Music, V2 Records Benelux, Wichita Recordings, Winspear, and Woodsist Records.